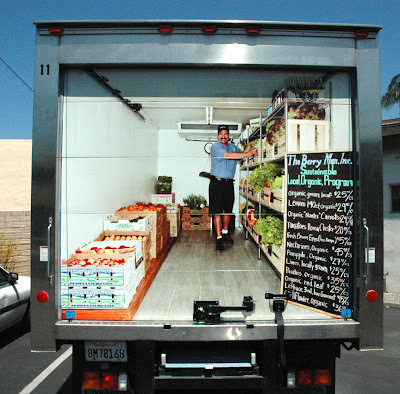 This vehicle wrap for the rear roll up door on a Berry Man truck was a lot of fun. We used a picture taken of the inside of the truck and reproduced it to create the visual illusion that you are looking inside the truck. If you see the truck driving around say "Hi" from SB Signs!